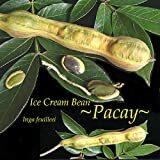 Ice cream bean seeds for sale – Easy plant to grow, with edible fruit, also grown as shade tree and the flowers quite of impressive, planting in early spring, seeds need to be fresh in order to germinate. Growing information: perennial plant, growing hardiness zone: 9-12, water needed – average to big amount, light conditions – full sun, height: 7-20m, 23-66 feet. Blooming in the spring to summer in needle shaped flowers that appear in white-cream color. 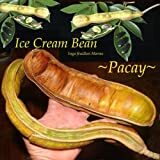 Fruits edible harvest season in the summer to autumn, fruits grow in pods 5-100 cm, in one pod can be 3-50 fruits, the fruit pulp is white and hairy in some cultivars peel easy, the fruit can be used eaten raw, ice cream, cakes, shakes.